Africa’s largest economy, Nigeria, is in the throes of a major multibillion-dollar banking crisis coming exactly 8 years after the country’s last financial sector meltdown in 2009. That crisis saw 40% of the country’s 24 banks become suddenly under-capitalized with five succumbing to insolvency. This time it is the stability of the country’s central bank itself that is at stake. The Nigerian Central Bank, which is ultimately the lender of last resort is itself under enormous financial strain – and unlike in 2009 – this time it will have to ultimately reach for an IMF bailout if the country’s deepening financial crisis is to be contained. An IMF bailout for Nigeria will possibly have to be on the scale of Ukraine’s 2015 $17.5bn deal to be meaningful. 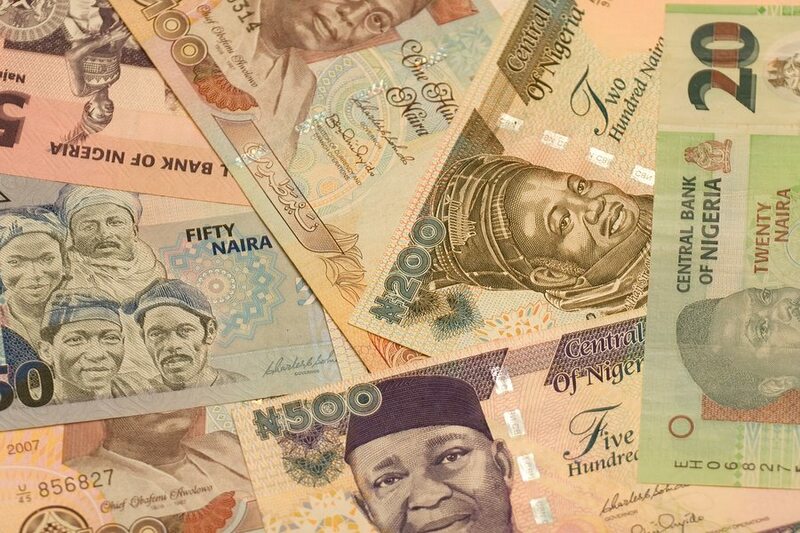 In less than a year the US dollar value of the balance sheet of the Nigerian Central Bank has shrank by nearly 40% following the devaluation of the country’s currency from almost $100bn to about $60bn. Despite this, the central bank has expanded its quasi fiscal activities to unprecedented historic levels and increased its lending to the government by over 500% in less than two years. In recent weeks despite having foreign exchange reserves of only $30bn, the central bank has accelerated its sales of US dollars into the local economy at a clip of about $2.5bn per month – implying that by early 2018, the bank’s forex reserves would have virtually run out – just like Venezuela’s. The country’s local banks have between $20bn to $30bn in bad debts, threatening nearly half of the total capital base of the sector. 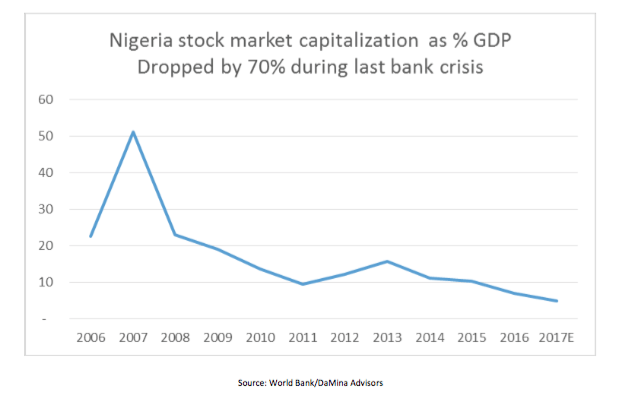 A conservative estimate issued by the Nigerian Deposit Insurance Corporation in early 2017 estimates the current bank losses stand around $7bn, with total private sector bank asset base of about $60bn – implying NPLs of 12%. However, if the 2008/2009 crisis is any guide, NDIC’s estimates are too conservative. Thus an estimate of $20bn – $30bn is likely more accurate with a bias towards the higher end of the spectrum. Signaling the depth of the financial crisis facing the country, since 2015 the Nigerian central bank has dramatically increased its lending to government to finance the country’s growing fiscal deficits as oil prices have plunged. 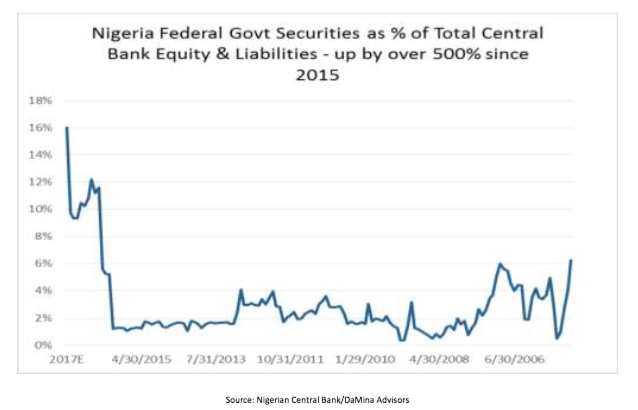 Nigerian government securities, as a percentage of total central bank assets/liabilities, have increased by over 500% in the past two years. During the 2008/2009 crisis, federal debentures constituted only 1%-2% of the central bank’s assets. The current level of central bank lending to the government is the highest it has ever been on record. Up until now the average historical exposure of the central bank to government financing during the recent democratic era was about 2%. In 2008 at the height of the last banking crisis, Nigeria’s FX reserves stood at over $40bn, with the federal government deficit at less than 1%. Oil prices in 2008 averaged at $97 per barrel; they currently trade at around $48 per barrel, a decline of 51%. 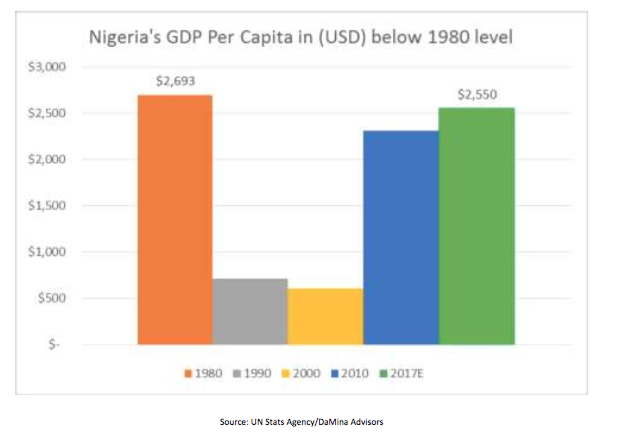 The Nigerian stock market was worth about 50% of GDP, it is today worth about 7%. Thus even if the Nigerian Central Bank still has the will to absorb the cascading multibillion-dollar NPLs from the private sector – it simply does not have the capacity to do so. Despite the gathering storms, the central bank continues to act as if all is well. In early 2009 despite repeated denials by the then central bank governor, Charles Soludo, that the nation’s financial system was not at risk of collapse, within weeks of Soludo’s departure in May 2009, the central bank had to finance a $4bn bank bailout from its own balance sheet, with over $6bn of debts re-packaged into a government-owned ‘bad bank,’ AMCOM which is itself now nearly broke. With a much weaker macroeconomic environment, and already over exposed central bank balance sheet, the current crisis will be much harder to resolve. Even the bad bank, AMCON, which was set up in 2010 to recover the bad debts of the banks that were re-capitalized using public funds is itself today on life support. AMCON has recently had to absorb debts from several other collapsing businesses in the manufacturing, energy and aviation sectors – beyond the narrow scope of its original mandate focused on just financial institutions. 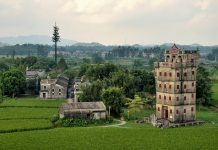 With no credible lender of last resort, the current financial sector crisis may yet wipe out several billions from the local stock market and expose the country’s pension funds and insurance companies, who are heavily exposed to local bonds and equities to significant losses. 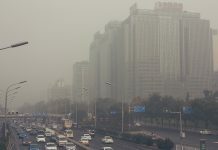 Beyond the central bank’s own stresses, there are other larger exogenous factors that indicate that the looming banking crisis may be much harder to resolve. Unlike in 2009 where President Umaru Yar’Adua was firmly in control of the country’s political landscape, Nigeria’s current President Muhammadu Buhari is effectively a lame duck, with a vastly diminished prospect of re-election as the ruling party presidential candidate in 2018. His ill health and abysmal economic record since taking office has left many middle-class Nigerians, including his own wife, vowing to not support him for re-election in 2019. The 25 February 2017 statement by the National Leader of the ruling party Bola Tinubu that he may yet throw in his own hat into the presidential race is signal enough that Buhari, even if he recovers from his still unknown illness will not be allowed by his party to run in the 2018 party primaries. Having once lost the presidency to a southern Christian, Goodluck Jonathan, after Umaru Yar’Adua’s untimely death barely 3 years into his term, key northern Muslim political elites are determined to keep the presidency in northern Muslim hands for 8 years and won’t support Buhari for 2019 fearing he may die in office. Thus, unlike in 2008/2009, where there was national political will to address the growing financial sector crisis, this time it does not exist. Secondly, unlike in 2009 where the then central bank governor, Charles Soludo’s term was up, and therefore easier to replace him, the current central bank governor Godwin Emefiele still has two years under his belt, and technically somewhat harder to summarily boot out of office. Thus, Buhari cannot easily remove him without further deepening the financial sector instability. 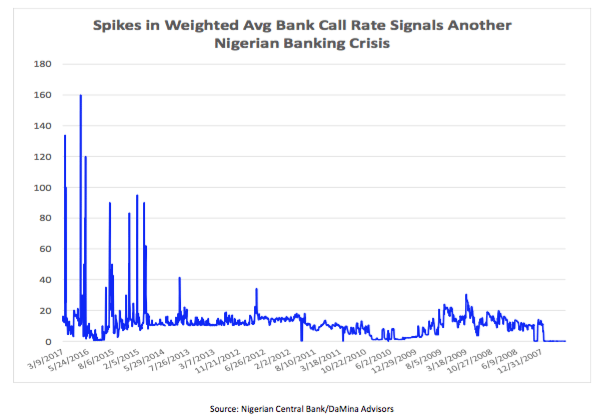 Within a month of Soludo’s denial of a second term at the central bank, interbank call rates had surged by 33%. Emefiele’s departure could be even more consequential. Beyond politics, Nigeria’s current banking crisis could not have happened at a worse time. The country’s economy is in recession with all key macroeconomic variables effectively negative when adjusted for inflation and currency depreciation. Inflation has surged to 10-year highs, FDI has collapsed by 70% and even GDP per capita in US dollar terms has regressed to below 1980 levels. 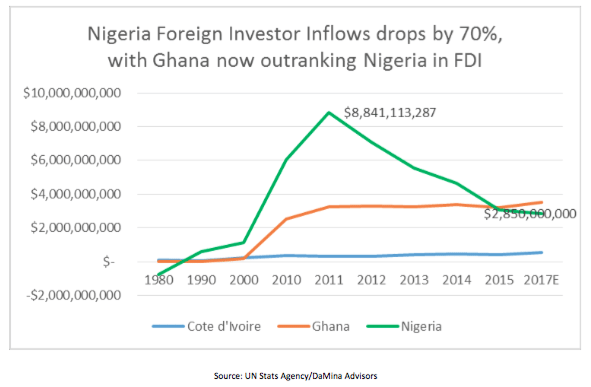 So, if the Nigerian Central Bank is unable to stem all the losses from the current crisis, will foreign investors swoop in to recapitalize the banks? No. Even in 2008/2009 despite initial hopes of several white knights picking up ‘cheap’ equity in local banks, virtually none appeared on the scene of the bank bloodbath, forcing the central bank to fork out $4bn of reserves to stabilize the banks, and packaging the rest of the bad debt into AMCON. This time may be even direr. The US has begun a multi-year process of raising interest rates to re-normalize its monetary policy. The change in US interest rates has structurally made all frontier and emerging assets relatively more risky than OECD assets. Europe is in the throes of a major political earthquake adjusting to Brexit, having barely escaped Nexit and possibly looking at a Frexit and an Italexit. With the US budget under severe strain and another debt ceiling crisis looming, the stretched Bretton Woods Institutions are unlikely to help unless formally petitioned by Nigeria. The IMF and World Bank remain largely gun shy to offer unsolicited help and will demand many stringent structural reforms of the Nigerian economy if it is approached by the Buhari government in the absence of more viable options. While the Nigerian Senate and the National Leader of the ruling party are all very likely to strongly oppose an IMF bailout and all the attached conditionalities, Nigeria is still likely set to enter an IMF program before the end of 2017 if its socio-political stability is to be maintained. 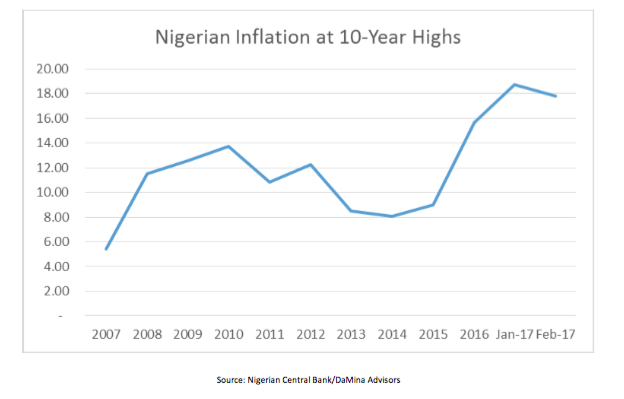 However, while Nigeria dithers, the central bank trots out short-term currency manipulation gimmicks, and the increasingly cash-strapped population prays at mosques and churches that the growing banking sector nightmares will simply vanish, several local banks are likely collapse before even an IMF deal is inked. DaMina Advisors is a preeminent Africa-focused independent frontier markets risk research, due diligence and Africa M&A transactions consulting and strategic advisory firm. Previous articleWill Jacob Zuma Take South African Equities Down With Him? Next articleQatar is Funneling $6 Billion Into the UK, But Where Exactly Is It Going?